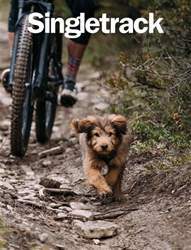 Digital Subscriptions > Singletrack > 121 > LONGER SHORTCUTS. Out in the car, running errands on a Saturday lunchtime… the Council tip, the shops, the cheese stall on the market… the usual. Wondering why it takes half an hour to go eight miles – and that’s even before the temporary traffic lights, house-moving lorries and overladen tractors slow things down. I got to thinking that there was probably a more direct route between the places I needed to get to. Actually I know that there are more direct routes – the hills are full of trails, and I’ve probably ridden all of them. While the road takes the path of least resistance through the valleys, the packhorses, coaches and travellers of old had no such need (or time) to take the long and dull way, they went over the tops.